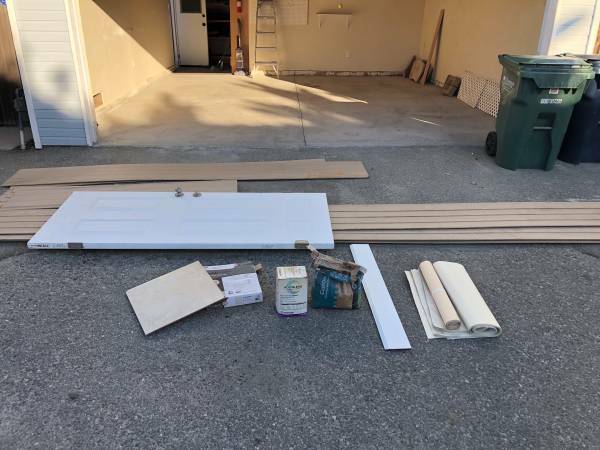 Free Giveaway : Free - Exterior Door, Siding, Grout, Tile, Packing Paper (1114 California Street, Huntington Beach, CA) - GiftsDetective.com | Home of Gifts ideas & inspiration for women, men & children. Find the Perfect Gift. Free stuff after garage cleaning. All stuff is in alley and is first-come. Once it’s gone, it’s gone. Help yourself. Please do not knock on door.